4K UHD is a resolution of 3840 pixels × 2160 pixels, which is aimed at consumer televisions. There are indeed many popular 4K TV manufacturers like Samsung, Sony, LG, Toshiba, ViZio, Panasonic etc, which can provide you excellent 4K TVs. You can watch movies on 4K TV via internet or Netflix. Do you know how to play movies on 4K TV via another way? USB Flash Drive, yes. This is a good way to. But, if you want to play all kinds of video files on 4K TV, you have to use an external tool. Because 4K TV doesn’t support all the types can play successfully. 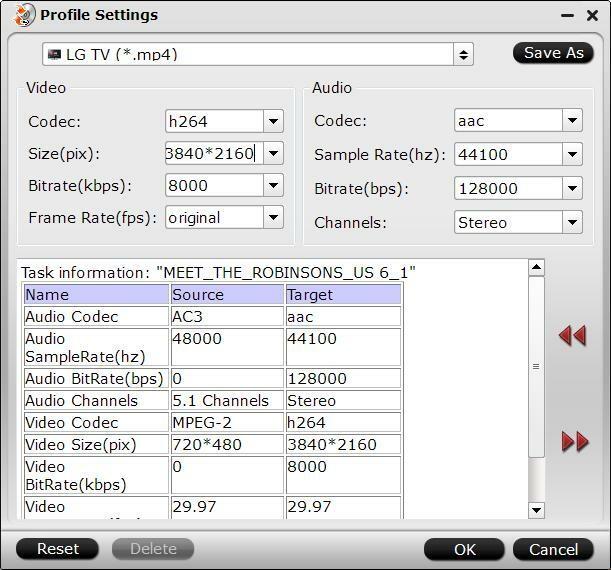 Such as MKV, AVI, MTS, MP4, Tivo, MOV, WMV, MTS, M2TS, VOB etc. First of all, you can read the article: 4K TV supported format to make sure what video and audio file you can play on your 4K TV via USB port without any hassle. Then, when you have some video and audio that can’t be played on your 4K TV, you can use a 4K TV Video Converter to transcode video to compatible with your 4K TV. There are many video converters that can help you re-encode video to 4K TV. But the best one will be Pavtube Video Converter Ultimate, a all-in-one video tool that can handle Blu-ray, DVD, 4K, HD, SD video and convert them to accepted by your 4K TV. Convert any format video to 4K MP4 in 4096 x 2160 or 3840 x 2160. Rip Blu-ray and DVD inlcuding 4K Blu-ray to 4K TV supported digital format. Upscale SD/HD video to 4K video for 4K TV. Edit 4K video like trim, crop, merge, rotate, watermark, subtitle, effects, etc. Convert 4K for portable devices such as Apple TV, iPad, iPhone, Android devices and tab, TVs, DVD players, etc. Convert 4K for easy edit in iMovie, Final Cut, Sony Vegas, Windows Movie Maker etc. Convert 4K Ultra HD video, 4K camera video, 4K video downloaded from online to standard video MP4, AVI, MOV, WMV, WebM, DivX, FLV and HD video such as HD MP4, HD AVI, HD WMV, HD MPG, HD MKV, HD TS, HD TRP 720p or 1080p. Convert 4K video to another more compatible 4K MP4, 4K MKV, etc video for 4K TV. 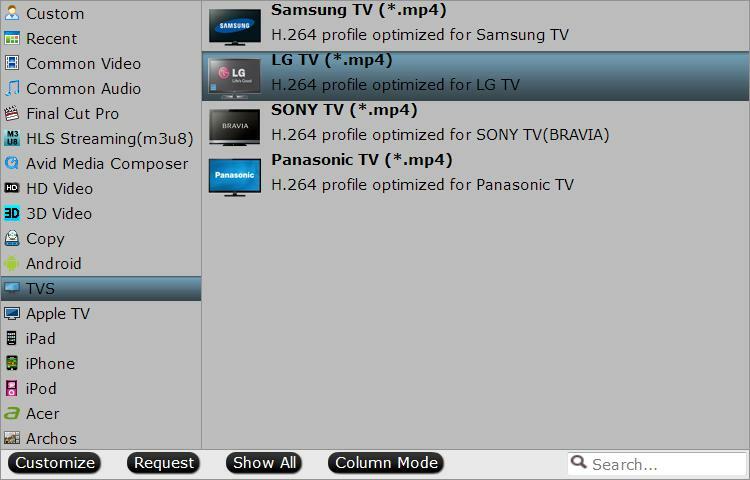 Outputs H.264/AVC and H.265/HEVC 4K video for 4K TV. What’s more, Pavtube Video Converter Ultimate supports batch converison, which can save you many time by batch converting videos to 4K TV. If you are using a Mac, please use the equivalent Mac 4K TV Video Converter – Pavtube iMedia Converter for Mac (Read the reasons to choose Pavtvube iMedia Converter for Mac). How to Convert Video to 4K TV with 4K TV Converter? Step 1: Click on the “Add File” icon to import your video files, you are allowed to import multiple files at one time. You can click “Load from Disc” to import DVD/Blu-ray files into 4K TV Converter. Step 3: Reset video resolution to 4K TV. If your video is not 4K video, you can upscale your video to 4K resolution. When the conversion is completed, you will be able to watch more sharper and detailed videos and movies on 4K Ultra HD TV via USB. You also can stream your 4K video to 4K TV via Chromecast. How to Transfer and Play 4K Video on Vizio 4K TV? How to Play 2K or 4K MP4 files on Vizio TV?